The Human Cities Coalition is a public-private partnership of over 150 stakeholders and 20 partners dedicated to making cities more inclusive and sustainable. Founded by AkzoNobel, the coalition aims to contribute to the UN’s Sustainable Development Goal 11 and the New Urban Agenda. The mission of the Human Cities Coalition is to improve the lives of the growing number of people living in slums. Together with Dutch and local companies, communities, government and civil society the coalition aims to build replicable business cases for challenges such as housing, drinking water, sanitation, waste and employment. As partners in the Human Cities Coalition, Shared Value Foundation, Utrecht University and LANDac have conducted a bottom-up local research on community needs, challenges and opportunities in Jakarta and Manila. From April 2017 two researchers have worked in close collaboration with Slum Dwellers International (SDI), local researchers, universities and communities to identify opportunities for the Human Cities Coalition to contribute to sustainable and inclusive urban development. Reports are available upon request. 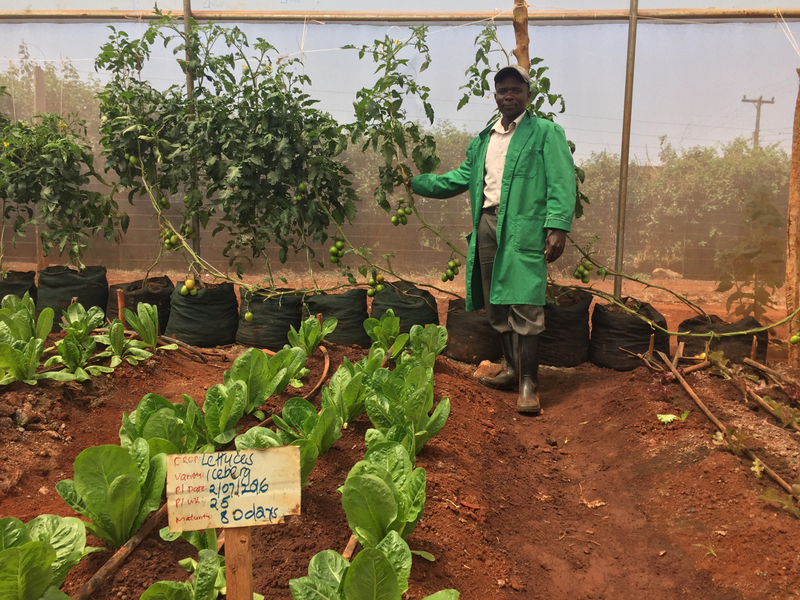 Throughout 2017, the Land Academy (LANDac) at Utrecht university will organise learning platforms in Uganda, Tanzania and Mozambique on the impact of land-based investments on local food security. Shared Value Foundation will facilitate these multi-stakeholder learning platforms that aim to bring together local communities, investors, policymakers and other stakeholders to start a dialogue and action plan on how to make land-based investments more sustainable for all parties. Prior to the launch of the learning platforms, LANDac, together with Shared Value Foundation will conduct bottom-up research into the local perspective on land-based investments in selected ‘investment hubs’: areas where a lot of investments are being made. The research will focus on what is happening ‘under the radar’ in communities around these investments and how they were impacted. Through this combination of research and learning platforms, this project aims to better align the investments with local needs and expectations while starting an open exchange about innovative approaches to improve the impacts of investments in developing countries on a local level. The project is conducted by researchers Gemma Betsema and Emilinah Namaganda. It is a project led by LANDac in close collaboration with Shared Value Foundation, the Centre for International Forestry Research (CIFOR), the Food & Business Knowledge Platform (F&BKP) and the Young Expert Programme (YEP). For more information, please contact project leader Gemma Betsema. The SoilCares Foundation aims to implement innovative soil testing services in Eastern Africa. 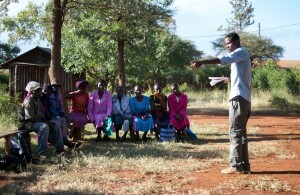 Through four months of fieldwork in Kenya, we provided them with necessary feedback from customers in the field in Kenya, based on interviews and focus group discussions with both existing and potential customers. Most of these consisted of smallholder farmers, often lacking extensive knowledge on the consequences of fertiliser use and monocropping. The intricate context of soil quality (and soil degradation) in Kenya is highly dynamic and soil maintenance for small-scale farmers in Kenya is as troublesome as it is important. The SoilCares Foundation is working hard to provide farmers with necessary information on their soil quality and advisory reports, detailing the steps these farmers can take to improve their yields. 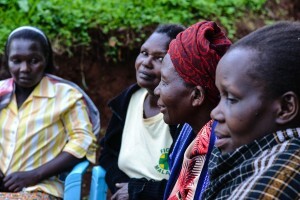 Results from this project have contributed to making their services more suitable to the day-to-day context within which these farmers cultivate their fields. In cooperation with LANDac and the Landforum at Utrecht University, Nitubaasa, a coffee buying company from Uganda, headed by a Dutch entrepreneur, expressed interest in a research project. 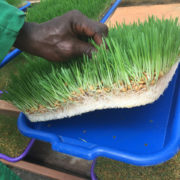 The project aim was to explore business opportunities on mount Elgon in eastern Uganda with a strong focus on the local context and existing social relations to which this entrepreneur was about to extend his operations. Furthermore, the company was engaged in the first steps of an NGO-funded project to boost youth and women leadership in agriculture. The research project therefore had a particular focus on youth and women involvement in coffee farming and processing today and in the future. In cooperation with LANDac and the Landforum at Utrecht University, Royal van Zanten commissioned Shared Value Foundation to conduct a research project on the impact it’s flower farm in Uganda has had on the lives of its employees and the people in the surrounding communities. The company also expressed the need to gain more insight in the lives and opinions of its workers and nearby villages. Furthermore, the project explored ways for the company to improve workers’ satisfaction and hereby, to make working for the company for longer periods of time more attractive. 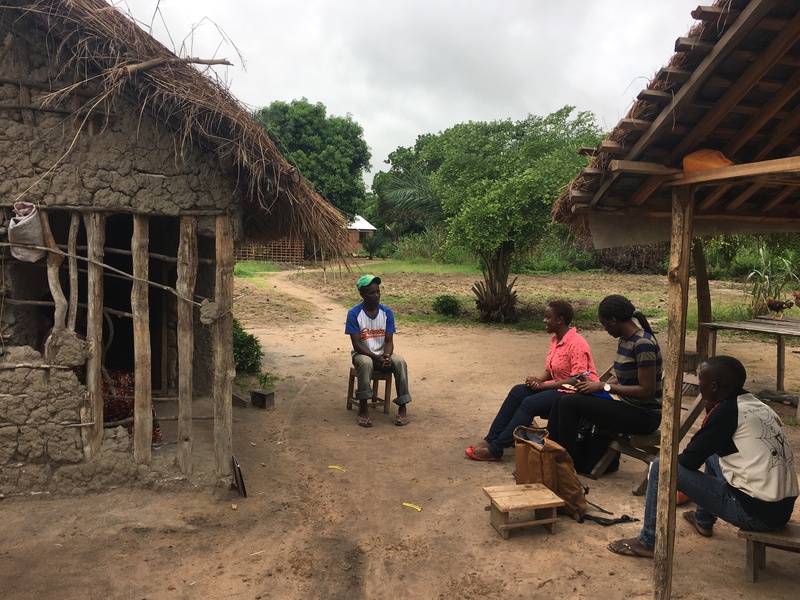 One of our consultants conducted five weeks of fieldwork from within the company and the surrounding communities using mostly participatory methods. By joining the company as an employee (picking flower cuttings in a team of locals) and with regular visits to the surrounding communities, information from ‘under the radar’ was collected that helped Royal van Zanten gain insight in the lives of its workers and how to cater for the needs of its workers. Commissioned by Homeplan Foundation, we’ve conducted four impact studies focused on homes that were built by Homeplan to improve the living situations of the poor and provide them with safe and secure housing. 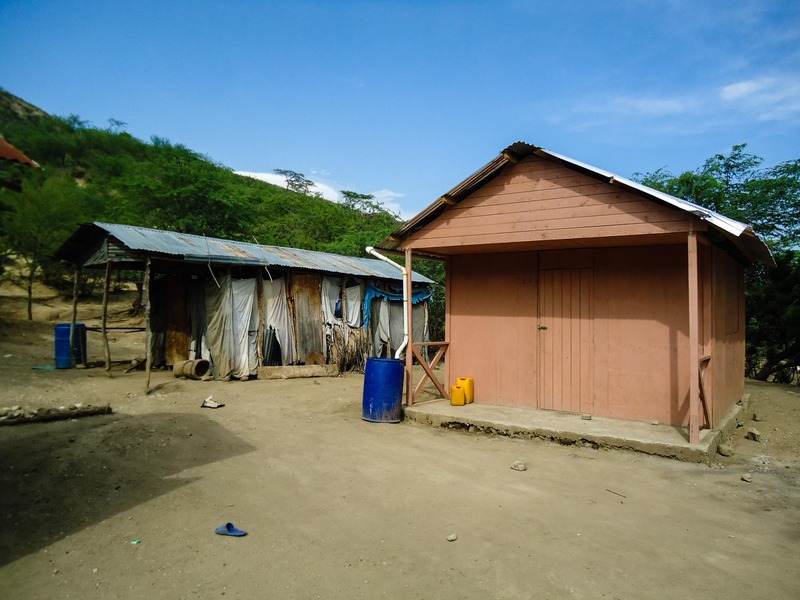 Three of our consultants went to the field (Haïti, Mexico, Nicaragua, Sout-Africa and Zimbabwe) for 2-3 months assessing the impact the houses have had on people’s lives and the communities they were built in. At the same time, our consultants have been exploring new opportunities for collaboration with local partners and have collected local perspectives on the best way to provide housing in the future. Vossen Laboratories develops and produces innovative liquids in both agricultural and industrial sectors. In line with existing experience with agricultural inputs in the Netherlands, and more recently with distributing crop strengthening products in South Africa, Vossen laboratories has employed the Shared Value Foundation to identify possibilities for marketing their products in Kenya. Fieldwork interviews have emphasised the difficulty small- and medium-scale farmers ar e facing in applying agricultural inputs. Simultaneously, these farmers could greatly benefit from crop strengthening inputs, as long as they are applied alongside proper soil maintenance, good quality seeds and yield administration. This calls for integrated crop management, or similar approaches that appreciate the need for service provision across a wider range of activities. Vossen Laboratories is currently assessing potential partners in Kenya, with the goal of embedding their product range and advisory services in existing support structures.